der Microsoft Community Open Day 2011 war ein voller Erfolg! Es waren über 120 Teilnehmer und Microsoft Mitarbeiter vor Ort. Der Fokus lag natürlich wieder beim Networken sowohl untereinander als auch mit Microsoft. Zum ersten Mal in der Geschichte des Community Open Day’s war dieses Jahr mit Dr. Zahedani ein Mitglied der Geschäftsführung von Microsoft Deutschland anwesend! 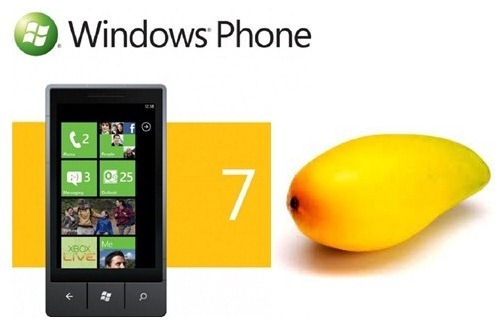 Einblicke in die neuesten Technologien wie Windows Phone 7.5, Cloud Computing oder Windows Live wurden gekoppelt mit dem regen Austausch untereinander und mit Microsoft! Windows Embedded Compact QFEs for September 2011 have arrived! · 110929_KB2580309 - This update addresses an error that may occur in in a multi-threaded environment. · 110914_KB2575796 - This update addresses an issue with start of dw.exe. · 110907_KB2600035 - This update configures FILE_FLAG_WRITE_THROUGH flag for the underlying file handle for cachefilt. · 110907_KB2557486 - The mount store operation is updated to avoid holding on the lock while the mount is being attempted on any store. · 110921_KB2587668 - This update addresses an error in PgPoolTrimThread. · 110930_KB2603744 - This update addresses possible issue with virtual memory allocated with VirtualAlloc when PAGE_NOCACHE is specified. · 110907_KB2588508 - The CD drive storage manager uses a fixed time of 2 seconds to poll for a newly inserted disc, This leads to a delay up to 2 seconds until an inserted disc is detected. This update allows polling time to be configurable via the registry. A new registry key "CDROMPollFrequency" is added under HKEY_LOCAL_MACHINE\System\StorageManager\Profiles\CDProfile\CDRom in the registry file common.reg with the default value of 0x3ED(1s). · 110930_KB2600013 - Internet Explorer may not be able to connect to Windows CE 5.0 web server. · 110207_KB2477769 - This update resolves some issues with ASN1 module. · 110225_KB2444533 - This release installs updated CETK test files. · 110224_KB2495864 - This update addresses an error that may occur when radiometricsdll is launched. · 110214_KB2495868 - Memory leak may occur when using ceplayer.exe to play AVI and WMV files through playlist with repeat playback option. · 110211_KB2495580 - This update addresses a possible deadlock. · 110222_KB982918 - This update addresses an issue with flash not rendering under certain circumstances. · 110209_KB2492043 - An exception may occur when unplugging and external storage device while playing a file from it. · 110221_KB2450800 - Screen is not properly redrawn in Internet Explorer if a floating window is shown inside a window and scrollbars are moved. · 110211_KB982563 - This update implements L2 cacheable page table support for ARM processor. · 110224_KB2465661 - This update adds registry entries to support custom resolution entries for Pictor screen. · 110210_KB2175812 - When connecting from a Windows Embedded CE 6.0 R3 device to Windows 2003 server or later, the state of the CAPS LOCK/NUM LOCK keys may not be correctly updated from the RDP client device to the terminal server. · 110207_KB2477768 - This update resolves some issues with ASN1 module. The soft keyboard disappears while typing – Microsoft is aware of this problem. You can find a list of user reported WP7.5 bugs here on wmpoweruser.com. Hope your Mango is working well and without any incidents! Don’t let this keep you from updating to Mango; your benefit it much greater! This release contains an update for the Compact Test Kit that includes the CTK Automation Tool Solution (CATS), a new tool that enables automation of test scenario execution on Windows Embedded Compact 7 devices. The CETK update also includes the Stress Tool, a new tool for automating stress tests. Silverlight for Windows Embedded sample code for the Compact 7 Media Player has been updated. Previously provided only in binary format, the Media Player sample User Interface is now included in source code and a dependency on the compositor in the sample code has been removed, which is expected to improve performance across most hardware configurations. This update also includes cumulative bug fixes for the Windows Embedded Compact 7 operating system, Platform Builder tools and the Compact Test Kit. This update enables users to build smart devices project with ATL functionality for Windows Embedded Compact 7 SDK. I highlighted all previous updates available for Windows Embedded Compact 7 in an older post. I am off to the EMEA Windows Embedded Channel and Partner Summit. The event takes place in Lisbon, Portugal from Monday October 10th to Wednesday October 12th. I am really looking forward to this event, not only because of the valuable information, but of course also because of the opportunity to network with Microsoft, Distributers and other Windows Embedded Partners! 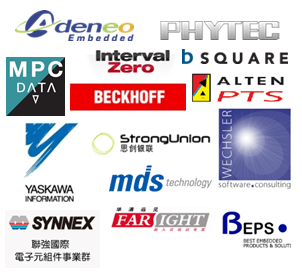 Embedded Software Engineering Kongress: Bis 31.10.2011 anmelden und sparen! Der Embedded Software Engineering (ESE) Kongress findet diese Jahr vom 5. bis 9. Dezember in Sindelfingen statt. Wegen des großen Erfolges und der daraus resultieren Raumknappheit im letzten Jahr wird der ESE Kongress 2011 um 2 Tage auf nun 5 Tage verlängert! Das Programm ist jetzt online verfügbar. Am ersten und am letzten Tag wird es Kompaktseminare geben während es am 2., 3. und 4. Tag interessante Vorträge zu hören gibt. Des Weiteren können Sie in den Pausen wieder über 40 Aussteller treffen! Bis zum 31.10.2011 gibt es wieder einen Frühbucherrabat – also am besten gleich anmelden und sparen! version 4.2 of the .NET Micro Framework just RTMed! You can download the SDK as well as the Porting Kit (PK) here on Codeplex. Check out the .NET Micro Framework Blog for additional information including new features of version 4.2.